Acupuncture is a treatment that was developed centuries ago in China and involves the insertion of fine needles into certain parts of the body. While the Chinese believe that this process allows abnormal energy flow to be rectified, scientific studies show that it stimulates the nerves and tissue below the skin, providing instant pain relief for some patients. 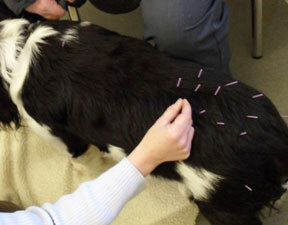 Today, acupuncture is used to treat both humans and animals. Additionally, specialist acupuncturists are able to identify the areas of the body that correlate with one another. For example, if your companion is suffering from an injury to one part of their body, the needles may be inserted into a completely different part of the anatomy to alleviate the pain. There is very little risk associated with acupuncture. In fact, almost all animals accept the insertion of needles – a mere pin-prick – and some even fall asleep. 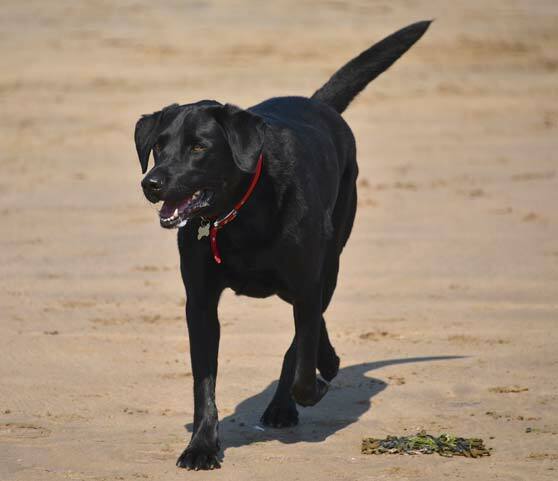 The recommended course of acupuncture depends wholly on the animal being treated and their condition. However, in the majority of cases, it is advised once a week for a month, and then only as it is required. Please note: Acupuncture is not a cure. However, it often provides instantaneous pain relief for animals, and can also be used in conjunction with conventional drugs and medicines. If you are interested in acupuncture, please don’t hesitate to contact our practice for more information. Additionally, most insurance companies recognise acupuncture as a form of rehabilitation and will fund the treatment. To speak with a member of our team about acupuncture, or to book an appointment at our practice, please contact a member of our friendly team by calling our Witten Park surgery on 01237 473278 or our East the Water surgery on 01237 422657.